Hariri stressed on urgency to form a government in order to “protect our country from the flames burning around it”, resist terrorism, deal with the challenges of the refugee influx and restore the confidence of the population and that of the international community. He welcomed the end of the political impasse that lasted for 29 months saying “it is a new term” and a “positive moment” that should encourage Lebanese to “join efforts to address the socio-economic, economic, environmental, security and political crises” that they have endured. The newly designated prime minister will need the support of other political parties to form a unity government and Speaker Nabih Berri is “showing cooperation” according to Hariri although Hezbollah continues to keep its distance after deciding not to endorse him for the position. “We will cooperate with everyone and we must depend on ourselves to resolve our issues because no one is concerned with our problems,” Hariri stated in a bid to reconcile parties in Lebanon’s interest. 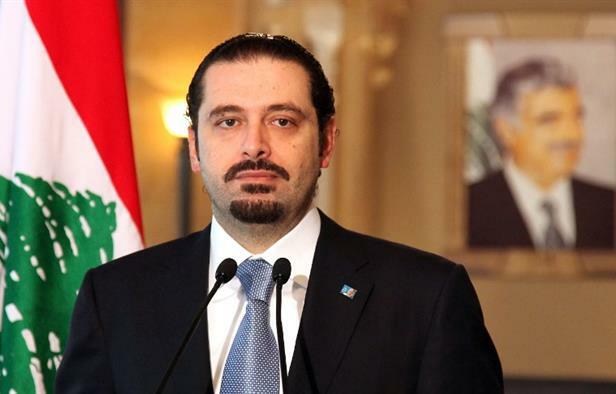 Hariri’s appointment is part of a political accord that led to the election of Michel Aoun, a close ally of Hezbollah, as Head of State last Monday. Hariri served as Prime Minister of a unity government between 2009 and 2011 but his closeness to Saudi Arabia is expected to be a stumbling block in his relations with Hezbollah, an ally of Iran. Saad Hariri’s father, Rafik Hariri, was assassinated in 2005 in Lebanon and a UN-backed tribunal has charged five members of Hezbollah with the killing. The outgoing prime minister, Tammam Salam, was applauded for his efforts in maintaining peace and stability.